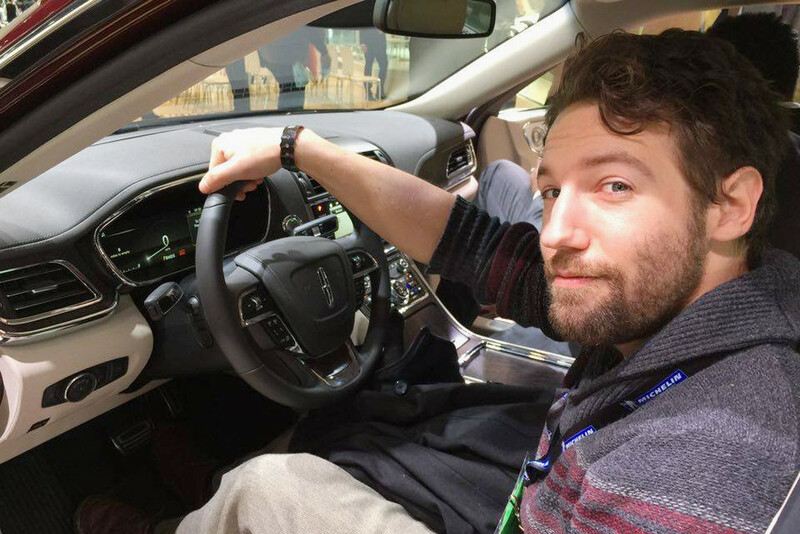 We rather doubt that anyone had asked Lincoln Motor Company to design a seat with 30 different ways of adjustment – “one adjustment for each day of the month,” as our good friend Craig Cole from AutoGuide said – but here it is nonetheless. Mind you, the 2017 Lincoln Continental‘s 30-way adjustable seats will be available as an option, not standard equipment. Each individual component of the seat can be nudged along in at least one dimension, including individual controls for the upper and lower seat back, and available individual thigh supports (controlled by the four fore/aft buttons at the bottom right of the panel shown below). 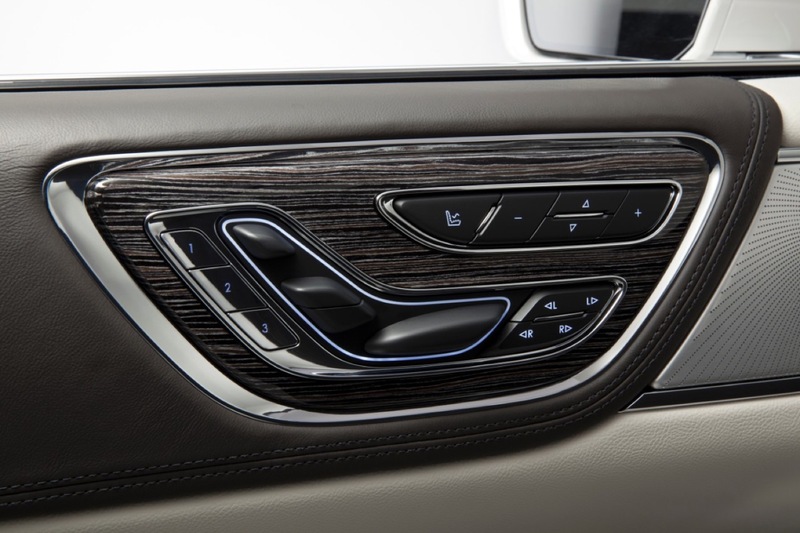 The door-mounted seat adjustment controls on the 2017 Lincoln Continental with 30-way seats. So, yes, one could extend the right thigh support to its foremost limit while keeping the left thigh support completely retracted, or vice versa, or anywhere in-between. This might be useful if, say, [insert plausible scenario here]. These 30-way adjustable seats in the new 2017 Lincoln Continental look every bit as good as they sit, too, wrapped in the same Bridge of Weir leather as the Lincoln brand has used since the 1950s. Today, the leather’s quality reportedly “[rivals] that of fine furniture.” They also offer heating and cooling functions, as well as an available massage feature. As for appearances, it seems as though the designers of the new 2017 Lincoln Continental weren’t too concerned with further upsetting Bentley’s designers. The center inserts utilize a diamond-shaped quilted stitch pattern immediately reminiscent of Bentley Motors’ standard fare. Alas, possibly irking the VW subsidiary is a rather small price to pay; the seats look positively gorgeous in the Lincoln Continental. Sharp contrast piping around the outside of the chair adds some intrigue, framing an inviting and elegant silouette. Multiple colors will likely be available, but seeing the photo at the top of this article, we’re all but certain that white is the way to go. The 2017 Lincoln Continental will go on sale starting this fall, with pricing not yet announced.